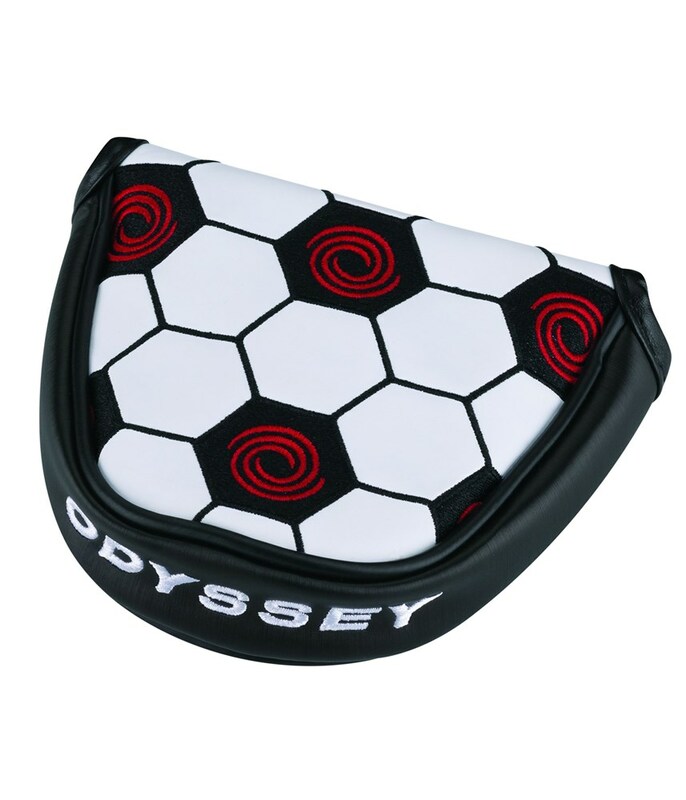 The Odyssey Soccer Blade Putter Headcover is a great way of showing that you are a fan of soccer as well as protecting the head and face of the most important golf club in your bag. 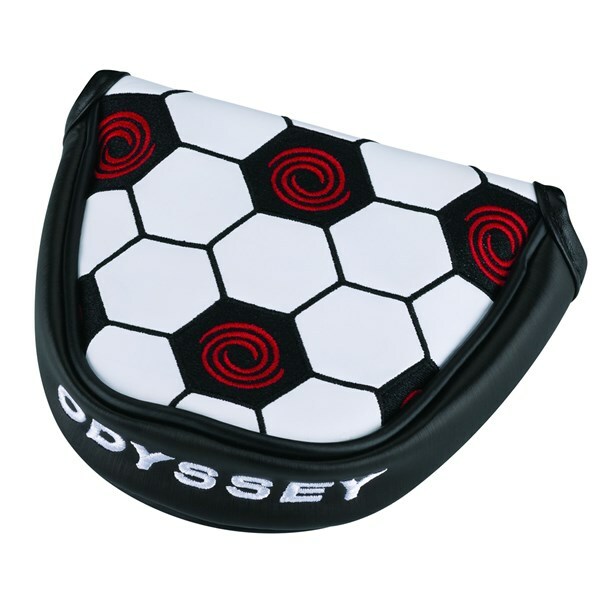 Styled like the panels of a football the Odyssey Soccer Blade putter headcover features the Odyssey Swirl logo and features a magnetic closure that will ensure that the putter cover does not fall off when you are playing golf. 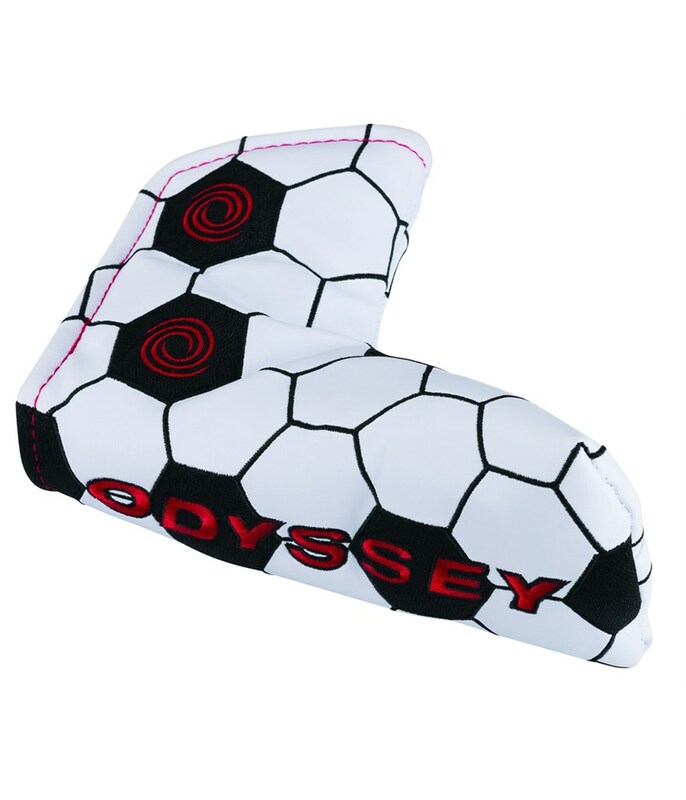 The Odyssey Soccer Mallet Putter headcover will help protect your putter from knocking against other clubs in your golf bag as well as showing that you are football fan. Styled to appear like football the Soccer Mallet Putter Headcover will fit the majority of larger headed putters with the exception of centre shafted mallet putters. 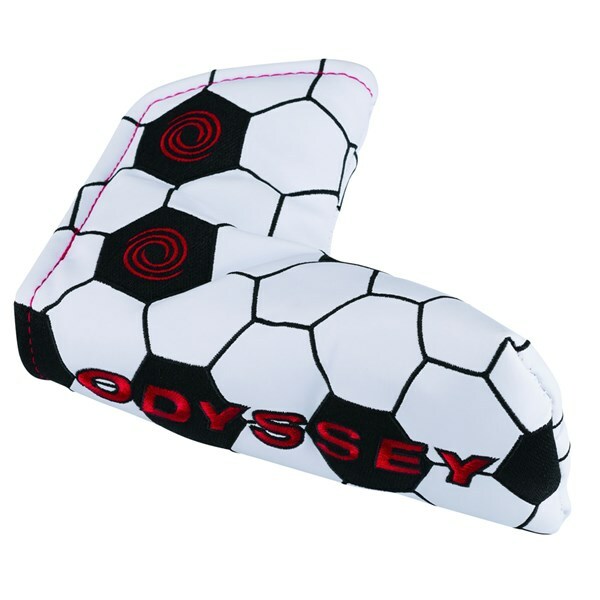 Odyssey have used a magnetic closure on the putter headcover that will ensure that the putter headcover remains on the club while playing golf.